This week we have started to see a few finishes, but mostly structural work on Level 1. The paint that you may have smelled when coming in is from the fresh coat on all of the ceiling on the floor. Looks nice, clean and bright. 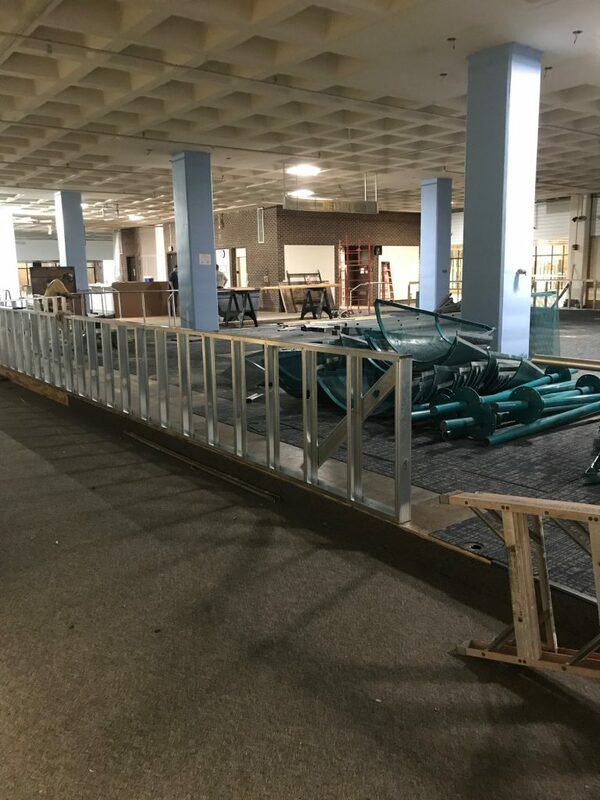 Take a look at the progress. 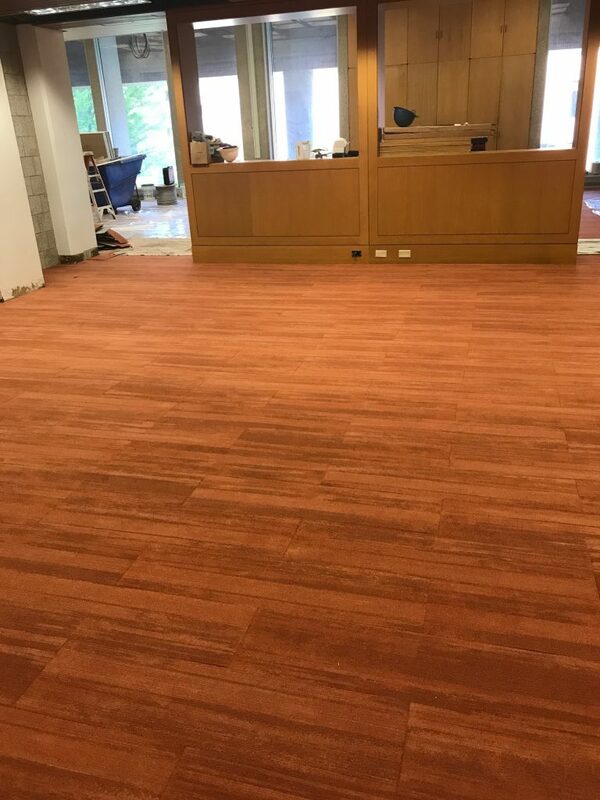 The new flooring in the UITS Service Center looks like wood, but is actually carpet! 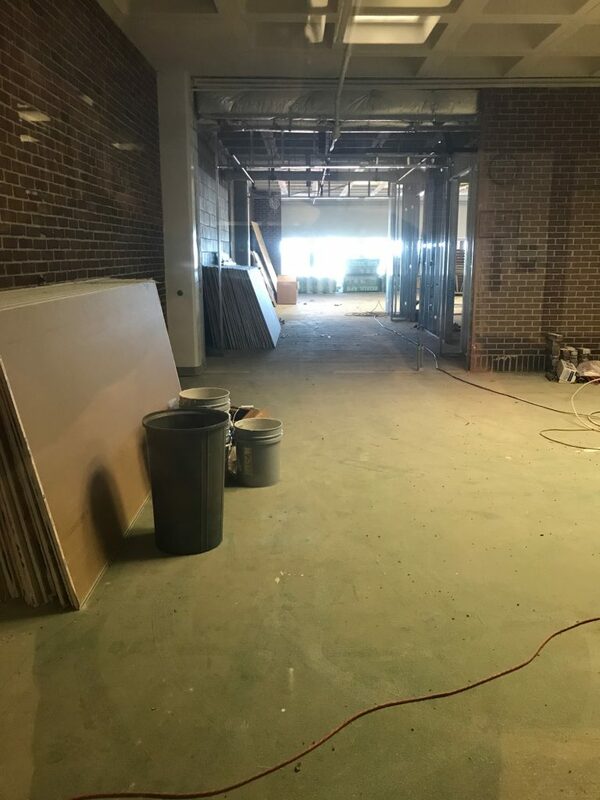 This is the view into the new event space on Level 4. So what has all the noise been about? Two major demo projects – the first is what is happening in the photo below. You may recognize the lower blue concrete wall that encases the center staircase coming up from the Plaza. The grey cement behind it is now gone. 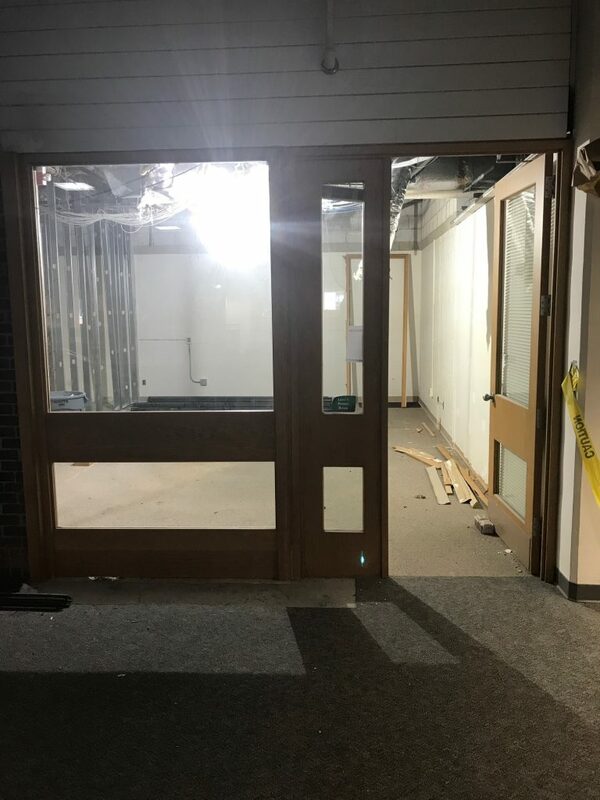 It will be open similar to the entrance to the stairs on the Plaza. 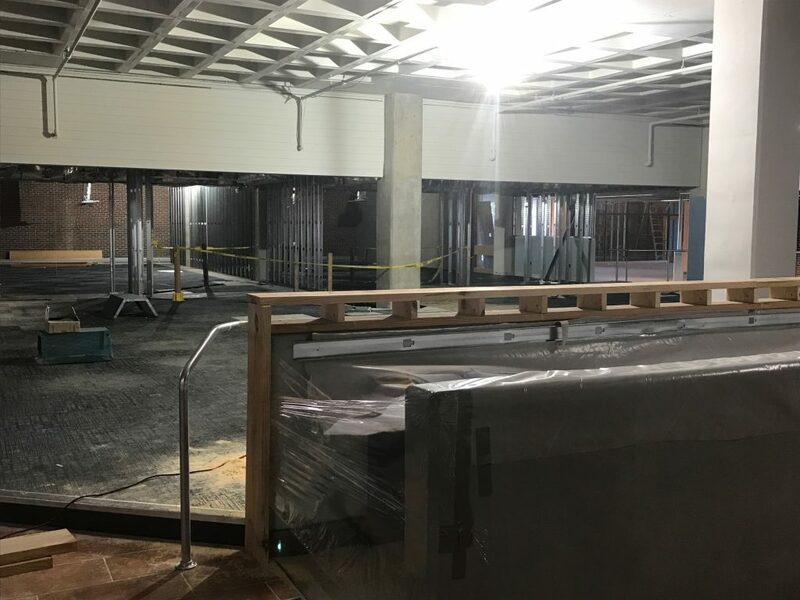 There is also work being done to add another unisex and accessible bathroom on the floor. Work in these two areas is where the jackhammer drilling is happening. We expect that there will be more drilling next week so be prepared for noise. 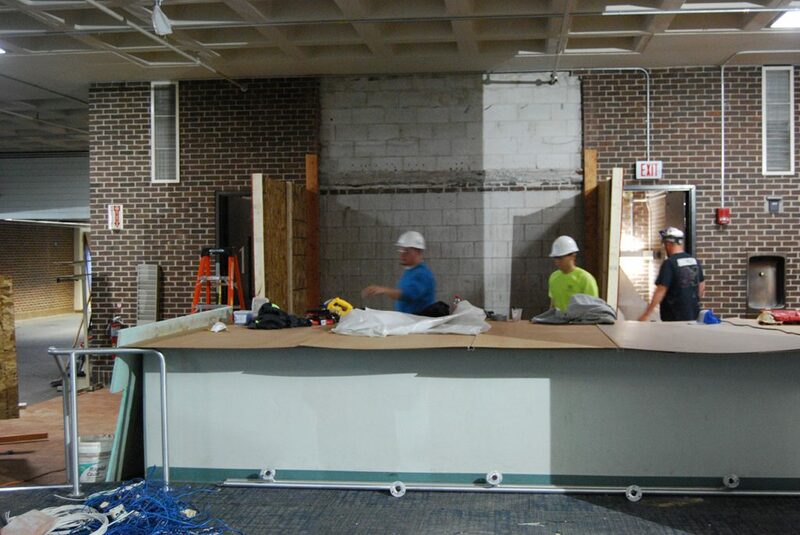 There is also a shell started for what will be a new computer bar that runs around the perimeter of the computer cafe. These will be high-top seating with stools, and lots of power to plug in. 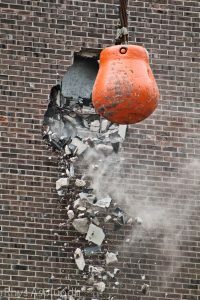 So maybe not quite like this, but today we expect the start of some demolition on interior brick walls on Level 1 so the noise level will be very high. We apologize in advance for this.